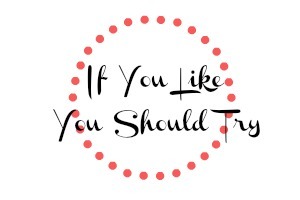 Inspired by Epic Reads' Like, Try, Why. These three series all have a strong leading female character with a unique story line. Each of the authors' writing styles are completely one of a kind, yet I think complement each other in the ways of a wonderful teen voice and a gripping plot. Whether it's fairies, a girl that can see the dead or a girl that screams bloody murder when someone is about to die you can easily put yourself in their shoes. These three series are in the top of my favorites list, I definitely recommend you trying them out! Ooh yes, good recs! I've read and enjoyed all of these series, and while they're different, like you mention, they definitely have a readalike factor to them. 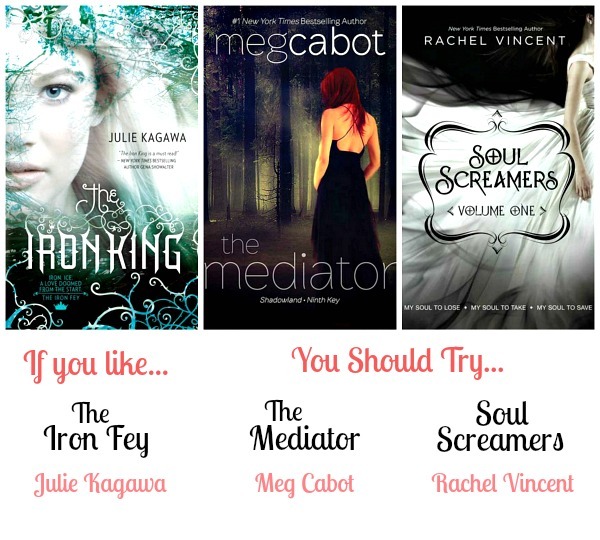 LOVE the Mediator and Soul Screamers series! Good recs! Me too! The Mediator is my fav series by Meg Cabot. I liked Iron King, but haven't actually read the other two. I just started Soul Screamers, so I definitely have some reading to do too! Happy to hear you liked Iron King, Thanks Brandi! Eeep! Really?! So many people haven't heard of it, I'm so happy you LOVE it!! <3 Suz is the best!